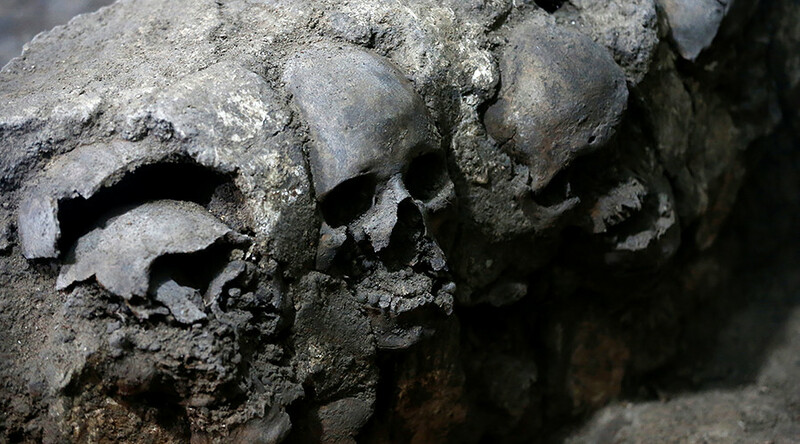 An ancient tower of human skulls has been unearthed beneath Mexico City – a discovery that researchers say raises fresh questions about the culture of sacrifice in the Aztec empire. 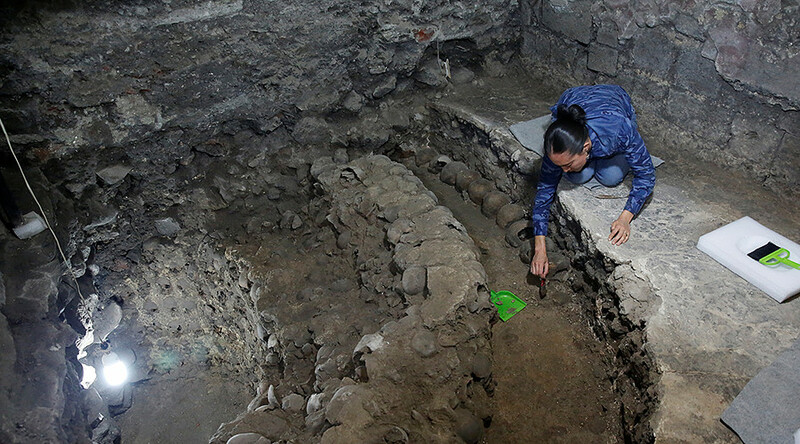 Archaeologists unearthed the 676 skulls embedded in a tower near the site of the Templo Mayor, one of the main temples in Tenochtitlan, the Aztec capital that would later become Mexico City. What makes the grisly discovery unique, however, is that the tower includes the skulls of women and children. 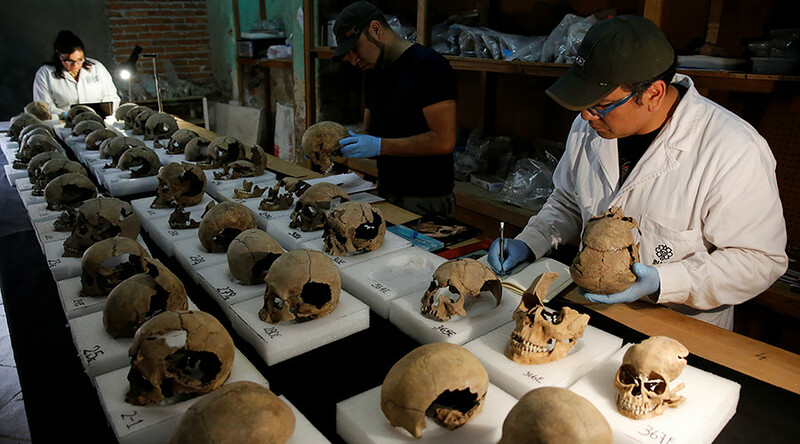 "We were expecting just men, obviously young men, as warriors would be, and the thing about the women and children is that you'd think they wouldn't be going to war," Rodrigo Bolanos, a biological anthropologist investigating the find, told Reuters. The tower thought to be part of the ‘Huey Tzompantli’, a massive array of severed heads intended to warn off the invading conquistadors who eventually brought about the fall of the Aztec Empire in the 16th century. The heads would be embedded in the tower after their public display on a rack and Aztecs would often perform ritualistic human sacrifices as offerings to the sun. Bolanos believes the unprecedented discovery raises questions about our understanding of Aztec culture. "Something is happening that we have no record of, and this is really new, a first in the Huey Tzompantli," Balanos added. 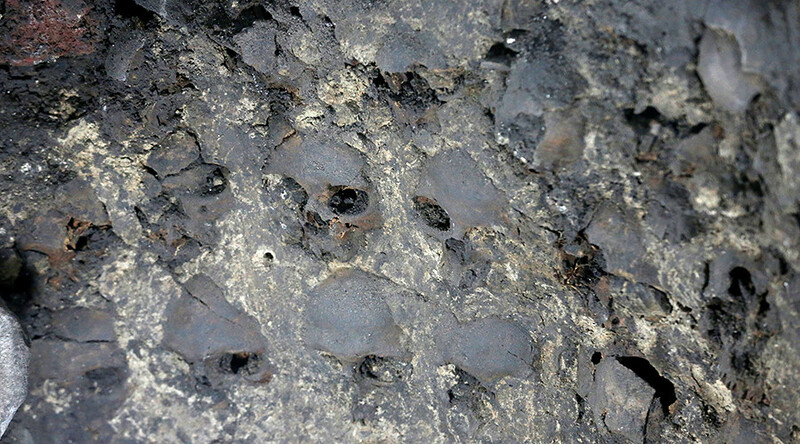 Archaeologists who began the excavation dig in 2015 have yet to reach the base of the tower, which is roughly six meters in diameter, so the number of skulls found at the site is expected to rise.